"I'm very surprised and annoyed," Lugo said outside the midtown Manhattan location. 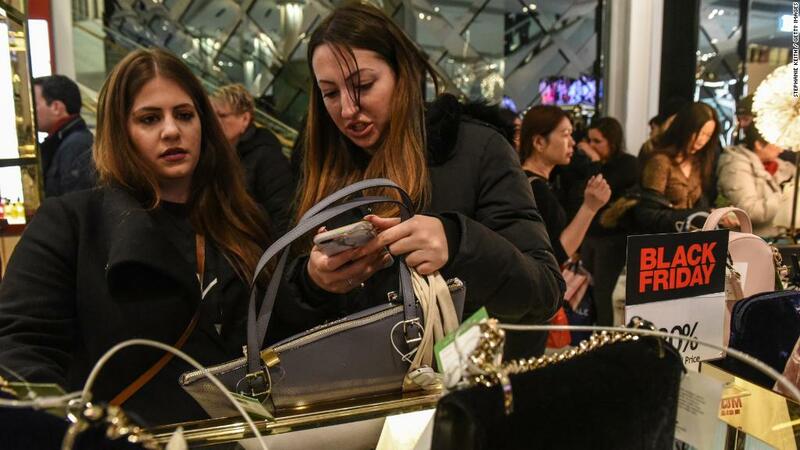 She added that the prices were good enough for her to make some purchases, but that she "absolutely" would have shopped online if she knew she would have a different experience this year. JCPenney (JCP) is one of the many retailers struggling to stay afloat as Amazon lures away shoppers with low prices and hassle-free shopping. On Black Friday, which is expected to be the busiest day of the year for brick-and-mortar stores, the department store could benefit from a smooth operation. But the new coupon policy seems to have confused its customers. During our Black Friday sale, our prices are so low that no coupon is required! Due to this any additional promotional rewards coupon will not apply. Please DM us if you have additional questions! At this time that promotion is not valid from 11/19-11-24 with our Black Friday Deals. We apologize for the inconvenience and confusion this has caused. You are more than welcome to use your coupon after 11/24 when it becomes active again. Have a great day! With our current Black Friday deals, coupons will not be active at this time. We apologize for any inconvenience. You may refer to the exclusions & details of the coupons which include that coupons cannot be used on https://t.co/4nK6vRLhRe during Black Friday events. There's a reason people are struggling to make sense of JCPenney's new system. It's not a great time for JCPenney to disappoint customers. In October, the retailer warned that it will lose twice as much money as it had expected to this quarter.